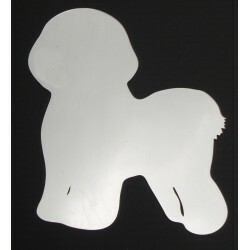 3mm thick silver acrylic mirror magnet, laser cut in the shape of a Bichon Frise. Makes a fun, inexpensive addition to the home. Shatterproof material which is lighter and 10 times stronger than glass. All the edges are laser polished. 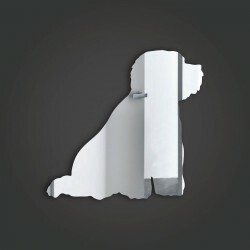 Each acrylic mirror comes with a protective film that needs to be removed before use. 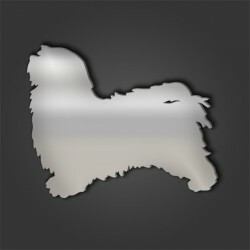 Each magnet is 85mm (8.5cm) wide. 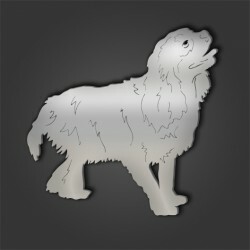 3mm thick silver acrylic mirror magnet, laser cut in the shape of a Coton De Tulear. Makes a fun, inexpensive addition to the home. Shatterproof material which is lighter and 10 times stronger than glass. All the edges are laser polished. 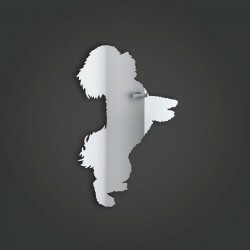 Each acrylic mirror comes with a protective film that needs to be removed before use. Each magnet is 85mm (8.5cm) wide. 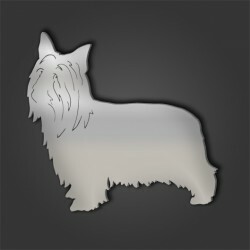 3mm thick silver acrylic mirror magnet, laser cut in the shape of a Silky Terrier. Makes a fun, inexpensive addition to the home. Shatterproof material which is lighter and 10 times stronger than glass. All the edges are laser polished. 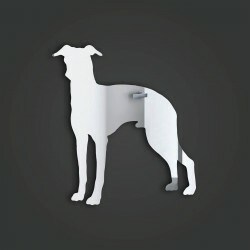 Each acrylic mirror comes with a protective film that needs to be removed before use. Each magnet is 85mm (8.5cm) wide. 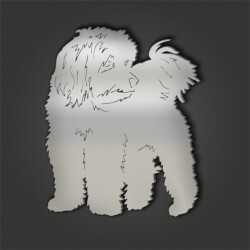 3mm thick silver acrylic mirror magnet, laser cut in the shape of a Havanese. Makes a fun, inexpensive addition to the home. Shatterproof material which is lighter and 10 times stronger than glass. All the edges are laser polished. 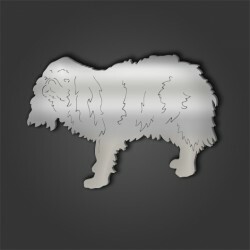 Each acrylic mirror comes with a protective film that needs to be removed before use. Each magnet is 85mm (8.5cm) wide. 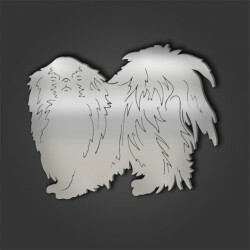 3mm thick silver acrylic mirror magnet, laser cut in the shape of a Japanese Chin. Makes a fun, inexpensive addition to the home. Shatterproof material which is lighter and 10 times stronger than glass. All the edges are laser polished. 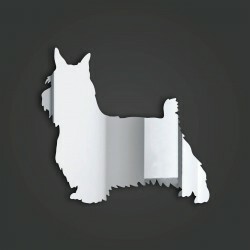 Each acrylic mirror comes with a protective film that needs to be removed before use. Each magnet is 85mm (8.5cm) wide.